Further to my post here: http://www.theultralighthiker.com/diyemergency-watercraft/ I have been thinking, ‘Can one make a raft ENTIRELY from Duct Tape?’ This may be a good team building exercise for your next in-service – or maybe I should just maroon you on an island somewhere with nothing but duct tape and bananas for a time and see what happens? 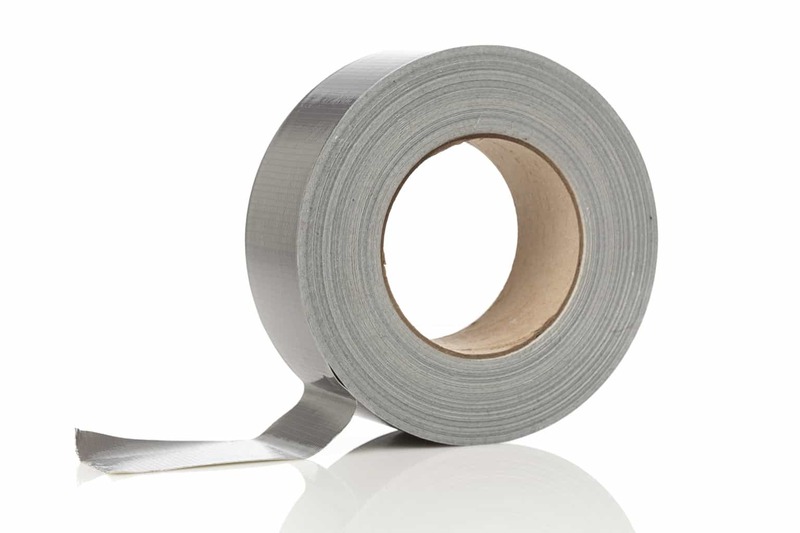 My solution is to form the duct tape into a tube, then lengthen the tube into a doughnut, then tape in a duct tape floor. Throughout I would use double thickness so that the non-sticky side is always on the outside (but also on the inside of the doughnut so it doesn’t stick to itself). You would leave a small inflation hole which you would blow up by mouth, then seal. It might not be good for Grade 3 rapids (though duct tape is surprisingly tough) but it would get you safely across an icy river, for example. My next (slightly more practical) project is to see whether a ‘standard’ 5’ x 7’ silnylon poncho (without a hole (as I posted about here: http://www.theultralighthiker.com/hole-less-ponchoshelter/) could be used for the ‘skin’ of a (very) small canoe which would (in an emergency) get you safely across a similar obstacle. You could only make a craft whose internals were (approx) 5’ x 3’ with sides 1’ high. This is very cosy, but surely enough? That’s approx 15 cubic feet to displace. My plastic kayaks are less than 10’ long and average much less than 2’ wide and are less than 1’ high, so comparable: there should be enough flotation in such a craft. I welcome suggestions.